An ultrasound is a device that uses high frequency sound waves to create internal images of your pet’s body such as the stomach, liver, heart, tendons, muscles, joints and blood vessels. 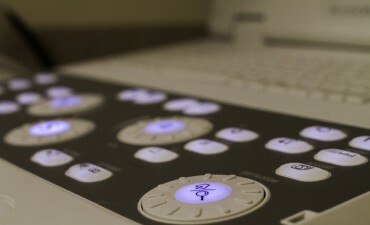 Ultrasounds are an amazing way to help you avoid surgery or arrive at a diagnosis. They’re also immensely valuable when they tell you what’s NOT medically wrong with your pet, even if they don’t find a definitive conclusion they can be a great source for illnesses that can be ruled out by your veterinarian. Anesthesia is typically not required for an ultrasound procedure. It is totally painless and most dogs or cats will lie comfortably while the scan is being completed. Occasionally if a pet is very anxious, a sedative will be used. At The Veterinary Emergency, Urgent Care and Referral Clinic of York Region, we proudly have all our ultrasounds read by Board Certified Radiologists. Does your pet require an ultrasound?